Featuring a pennant pattern with blue and mustard yellow dots, this stylish bed linen set is perfect for children's bedrooms. A Cyrillus design. Mustard yellow chevrons on white background at back. 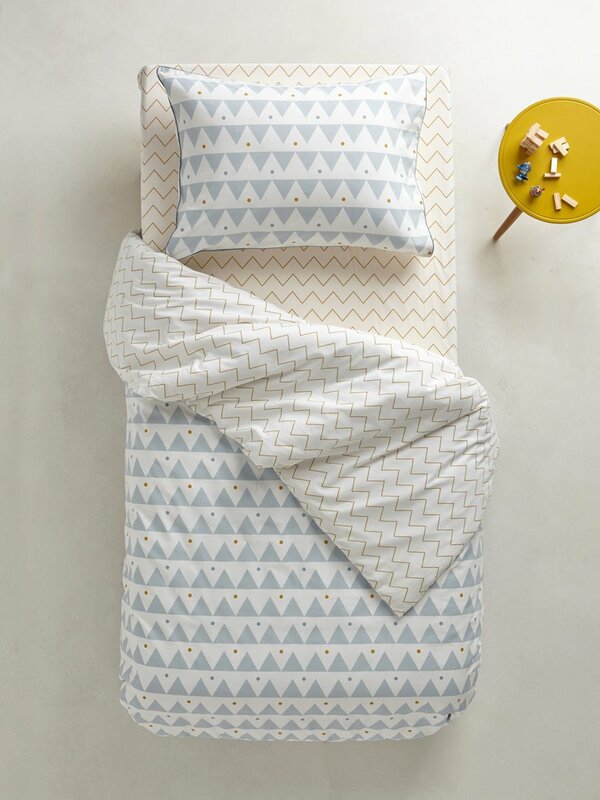 Duvet cover with tuck-in flap. Machine washable at 40°C. Made in Portugal. This bed linen is certified Oeko-Tex® standard 100 (CQ118/1), which guarantees that no substances have been used which are harmful to your health or the environment.